▲A handsome headshot of More Than Ready. ▲A worried look...isn't anyone coming up to pet me? Sorry More Than Ready, we could look but we couldn't touch you. ▲Well, this is what I think of the "look but no touch" policy! Colonel John has a sweet fface, doesn't he? You can see the TB Arabian ancestry coming out. Love Drosselmeyer. Did you see his portrait in the lobby? Click directly on the photo for a larger image. 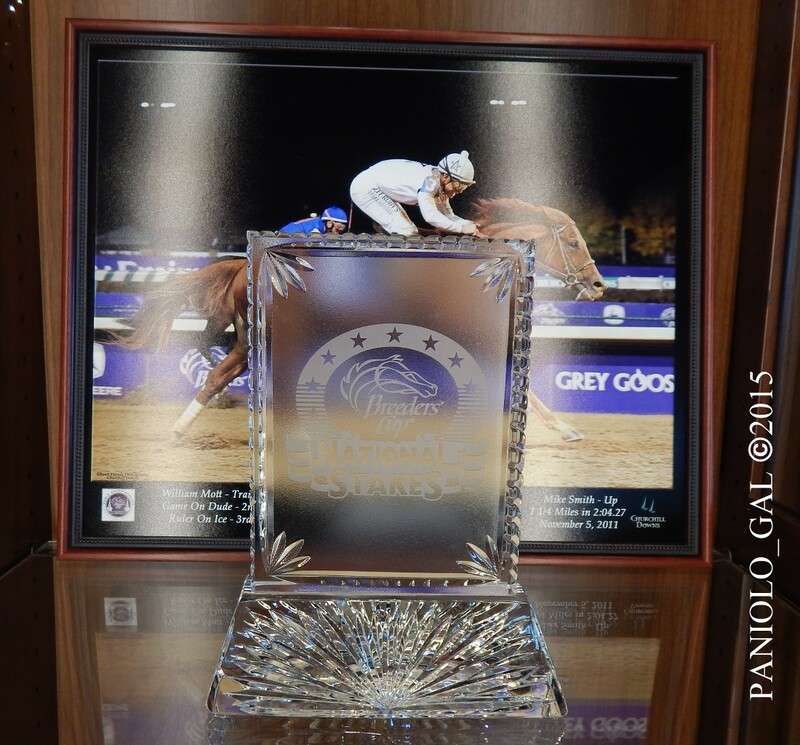 ▲Drosselmeyer's 2011 Breeders' Cup Classic Trophy on Display at WinStar's Stallion Complex Showroom. 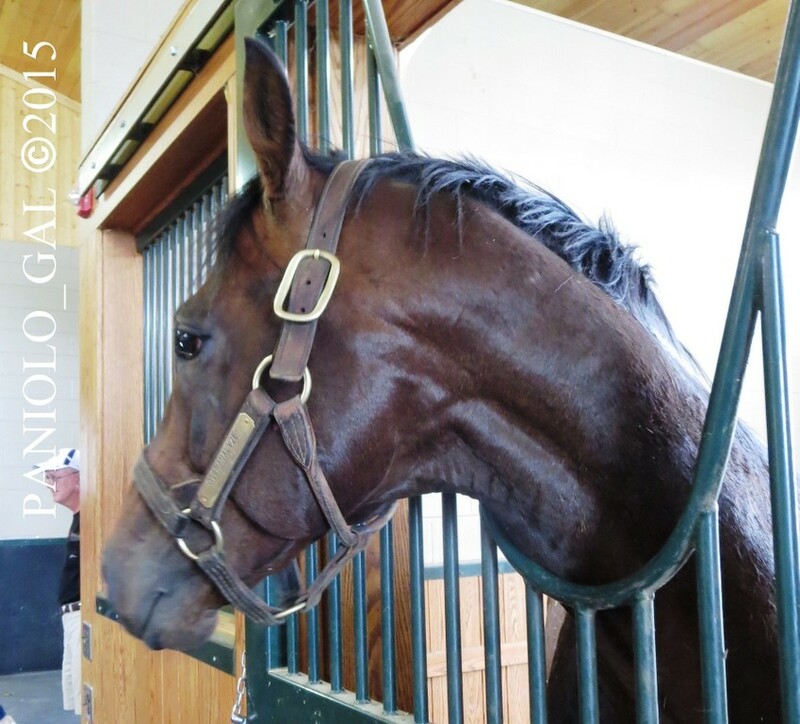 Yes @lauraj_cincinnati...Colonel John is a real sweetheart.❤ It was too bad that we could only look but we couldn't touch/pet him...per our tour guide...For our safety also in case the stallions nipped at us. 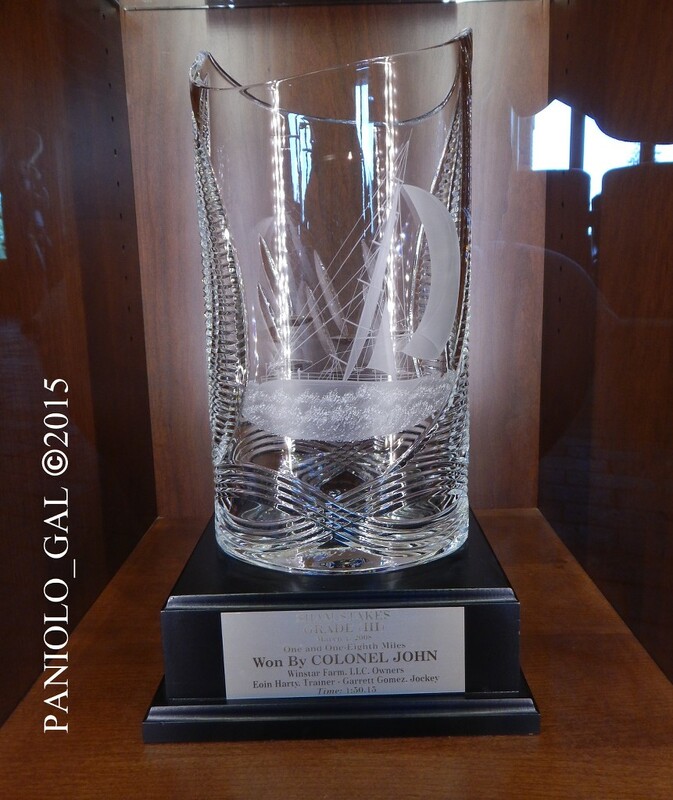 Since we are discussing Colonel John, I thought I'd slip in a trophy of his that was displayed in the Reception/Showroom. Wonderful photos and narrative!! I also love that your journey will now be here in archival form so to speak so we can look back in the future - very cool. From the looks of some of those muddy halters, it appears to me that the stallions had a good roll in the mud puddle - something many of them think is like a special spa treatment - lol! "Here's Drosselmeyer out of the CLOUDS!!!!" No, the Drosselmeyer portrait that I'm thinking of is an oil painting. It's a full-body conformation pose in a (probably imaginary) field or paddock. It's over near the reception desk. You'd know if you saw it. 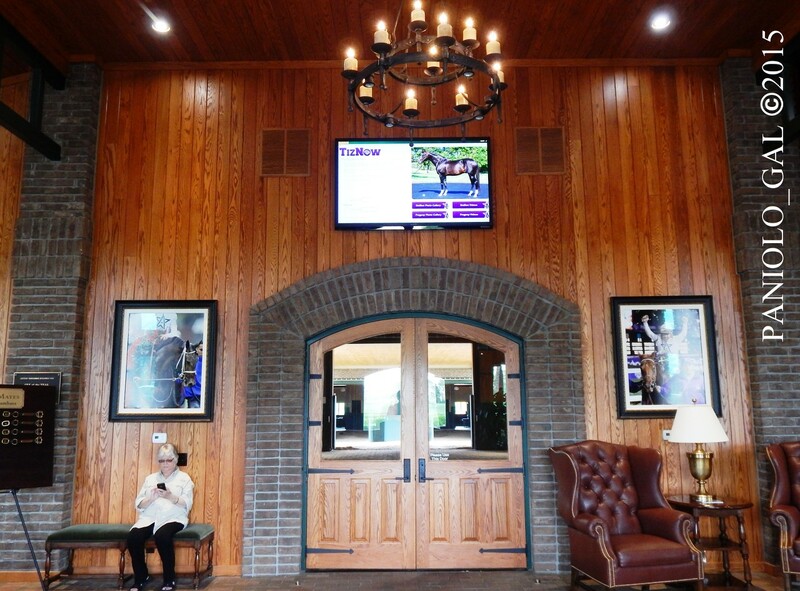 However, the pic with Mike next to the doors is Drosselmeyer, I believe, following his victory in the Classic. It appears to have been taken at night, so it's not the Belmont. I so wish I had placed a straight win bet on that horse. I had a strong feeling that he would win. Distance wasn't a question. 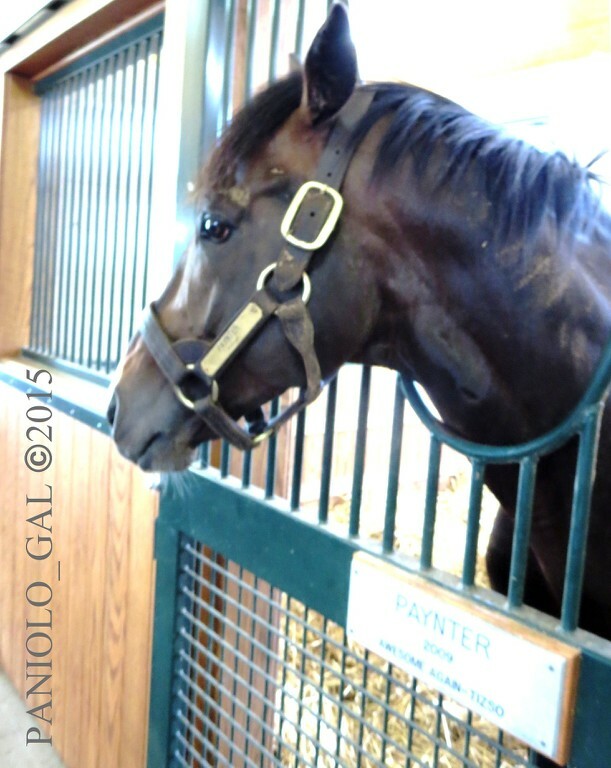 He had had some great works and he looked like a million bucks in the paddock. 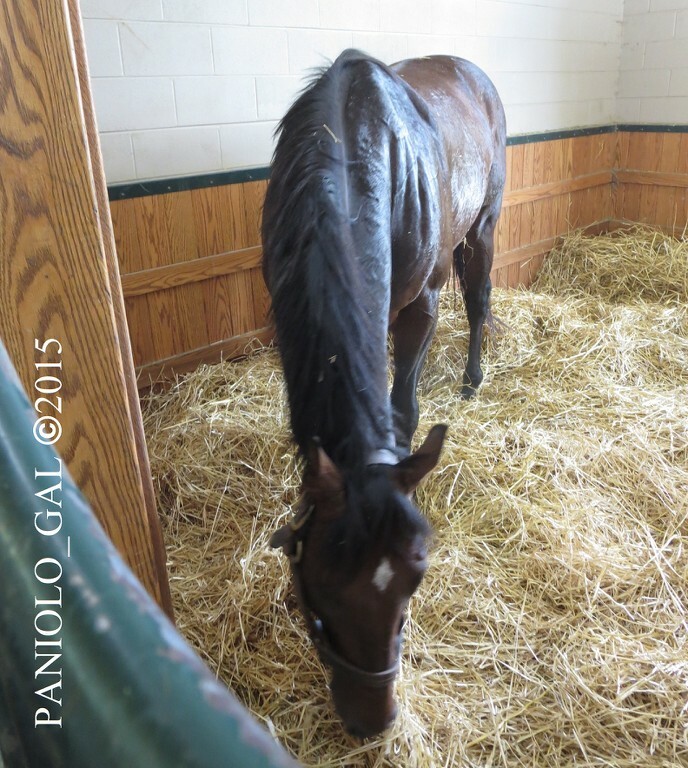 Instead I boxed him with Uncle Mo and Havre de Grace. 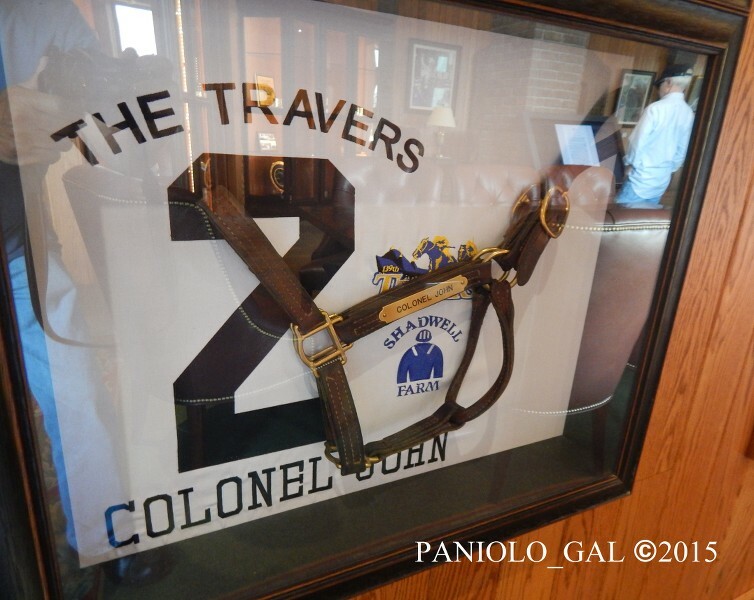 @lauraj_cincinnati...I wonder if they rotate their paintings in the WinStar Reception Area? 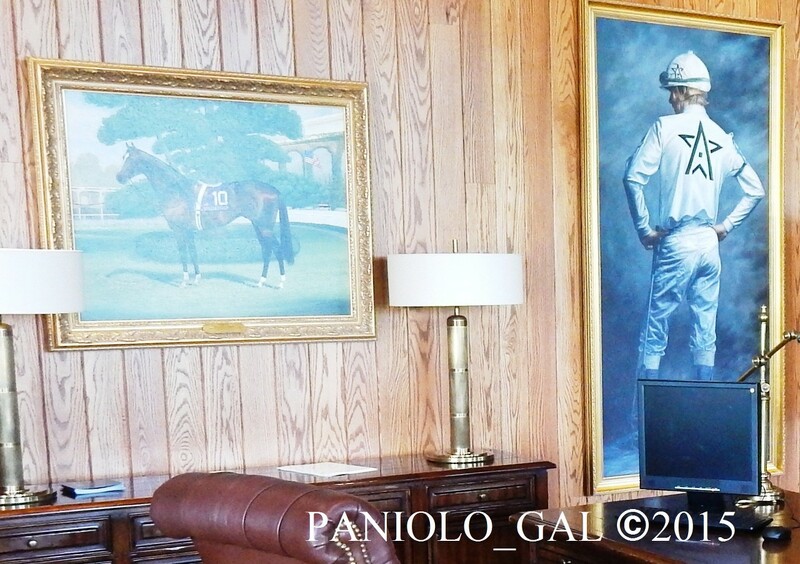 Just took a good look at the photos in that area and the only conformation oil painting at the reception desk was that of Tiznow...left of the painting of a jockey wearing WinStar's silks. ▲A classic pose from Overanalyze. ▲Overanalyze sticking tongue at a photographer. ▲Who said you could take a photo of me! UP NEXT... OUT TAKES FROM OVERANALYZE! Oh be still my heart! More Than Ready, one of my favorites! Ah gosh, we all want to go on these farm tours. You are the next best thing! 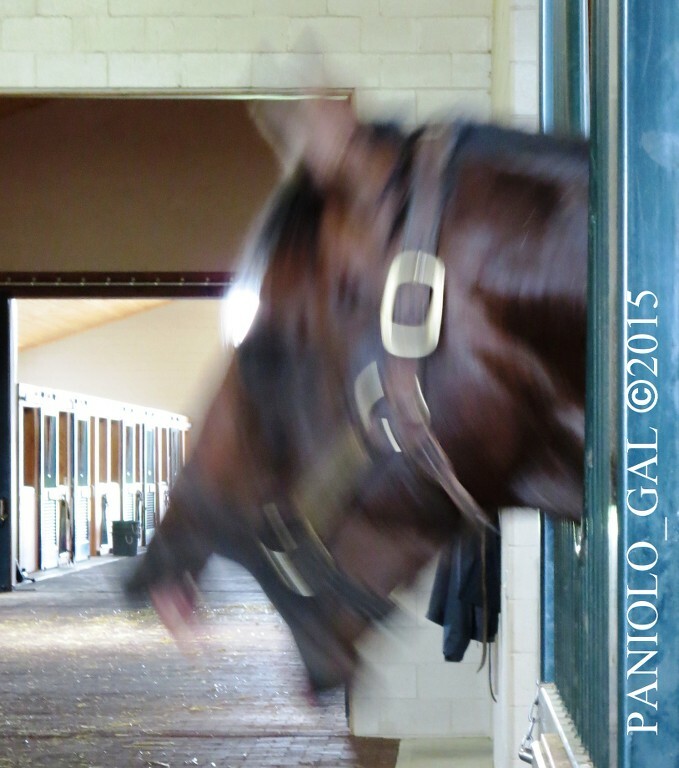 OUTTAKES FROM OVERANALYZE...A VOCAL STALLION! ▲Okay...No one is watching. I think it's safe. 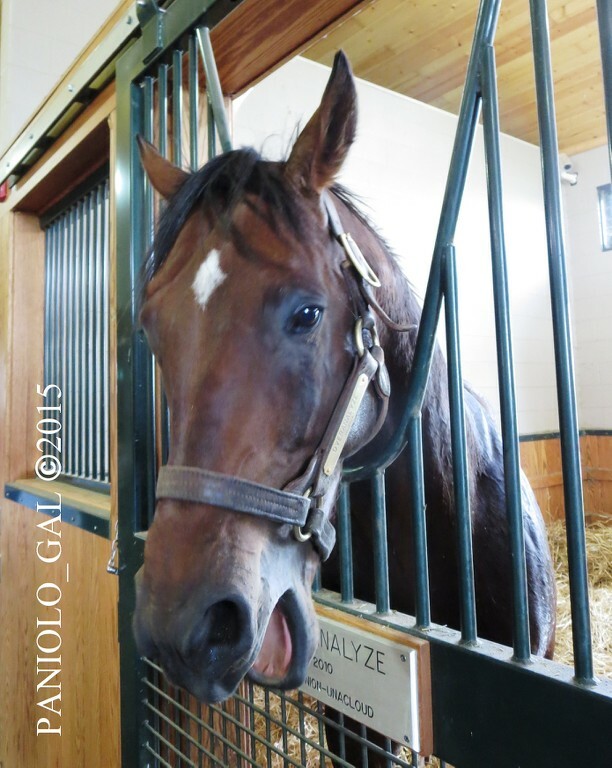 OVERANALYZE GOES "ROLLING IN THE HAY"! 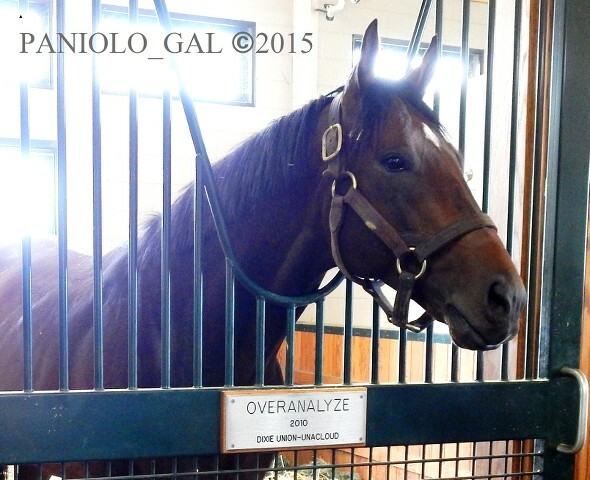 Never a dull moment watching Overanalyze! 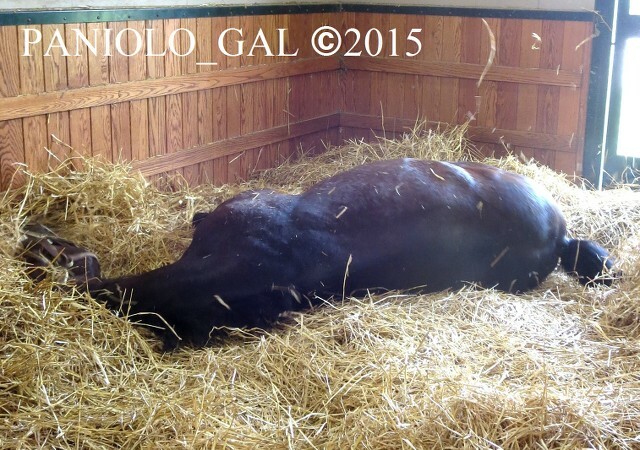 ▲After a good roll in the hay...Overanalyze takes a breather. 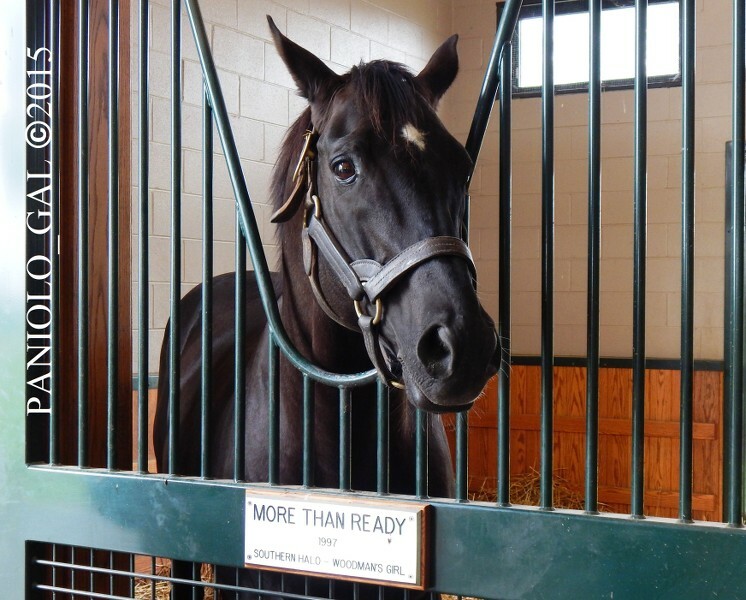 ▲Look at those strong muscles of this handsome stallion! I guess that dates both of us! LOL! 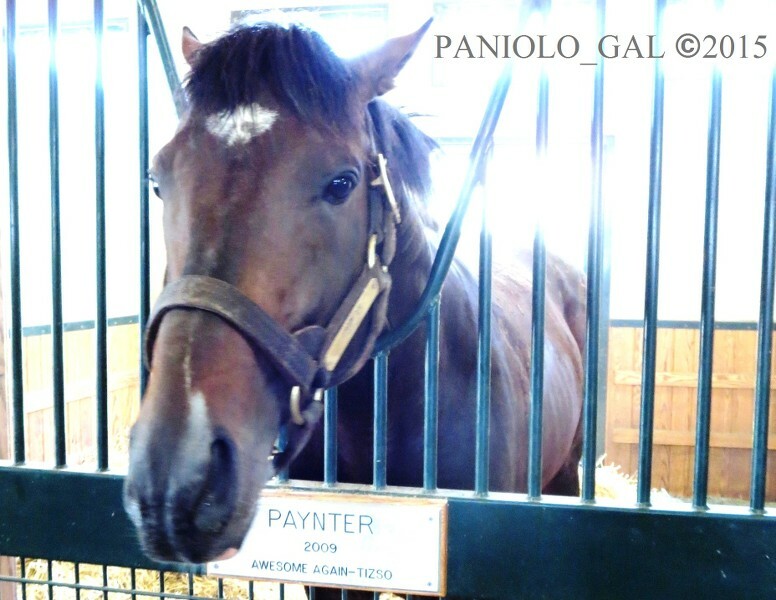 ▲Paynter is just covered in mud all over his body...he must have had a good mud fest with Bodemeister outside! ▲I like myself all covered in mud...don't you dare wash my spa treatment off! ▲Do I smell carrots? One of the visitors has carrots! ▲Oh! It's one of Casey's forum buddies...she's the one with carrots. I better keep my cool and be nice to this lady...no nipping...after all she has treats! I'll let her pet me as well! LOL! Yes! 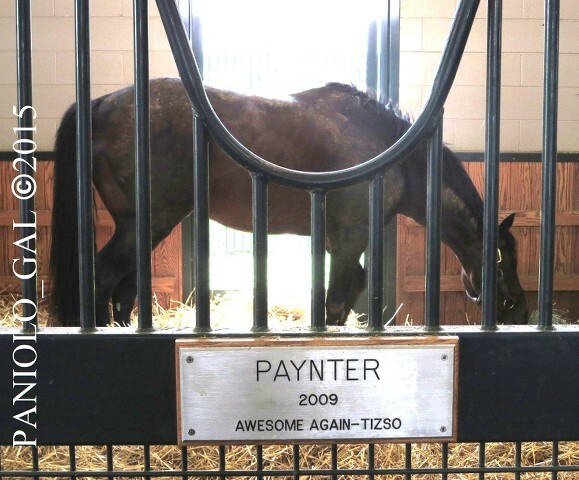 That would be some foal out of Zenyatta x Overanalyze! A Singing & Dancing race warrior! Does Overanalyze sing? Did not see that post. ? That Overanalyze segment was brilliant and the tour is wonderful, thank you, Paniolo_Gal! Mahalo! 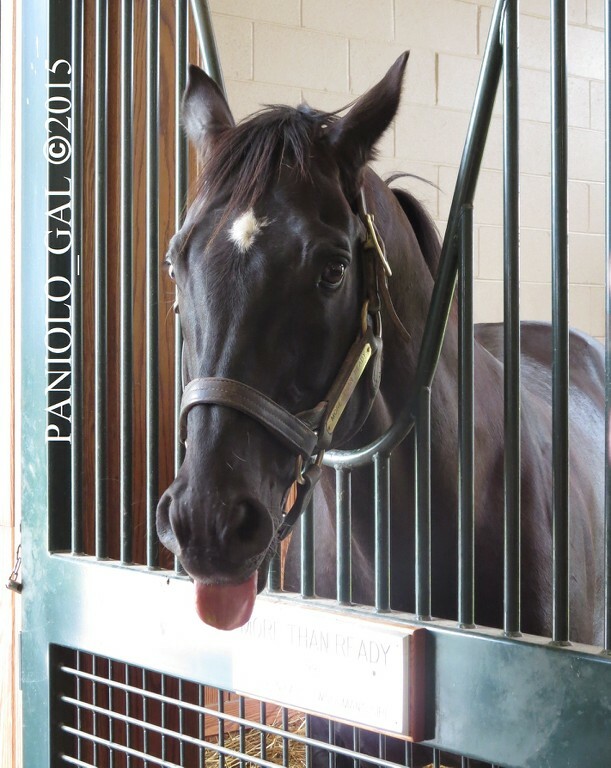 Yeah...I had fun putting together that photo segment of Overanalyze and what appears to be his vocal expressions! 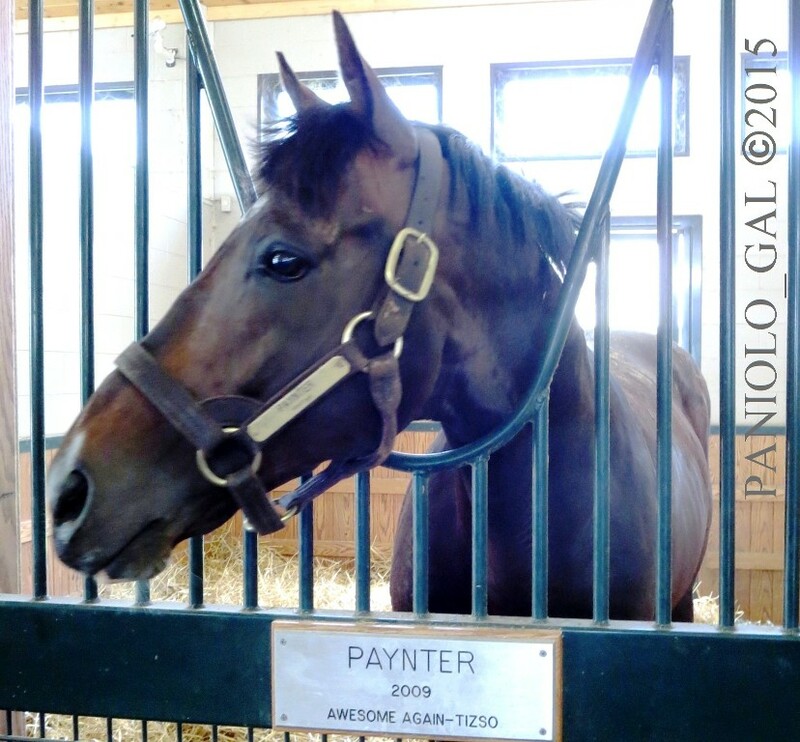 He is a really bright and energetic stallion to watch! 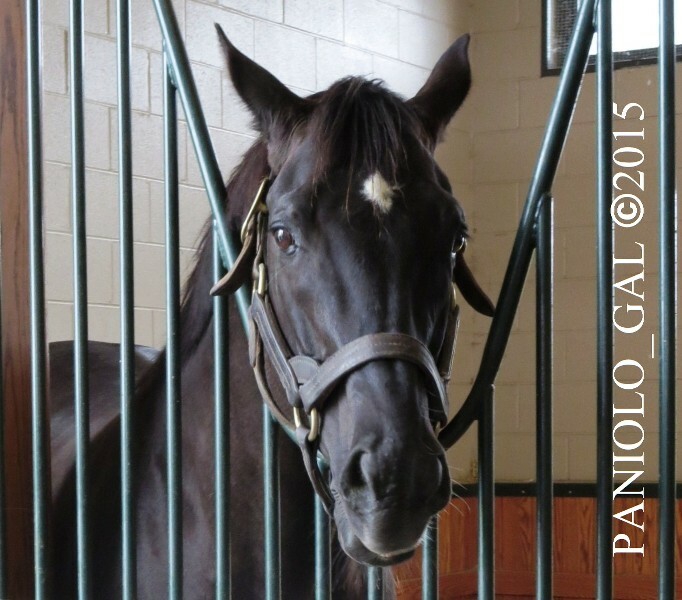 Paniolo_Gal, did you go to Gainesway, by any chance?